I’m Jason Hoover and I’m glad you are here. To help you get to know me better, I first must say that I am a husband to an amazing and beautiful wife and a proud father of two magnificent kids. Family is always first to me and I’m happy to now be living a life that grants me the time to be “present” in their lives while also helping make a difference in other lives as well. Professionally, I am an Entrepreneur Coach, Keynote Speaker, Business Trainer, and DISC Practitioner specializing in assisting both individuals and businesses in their pursuit of success and growth. With over 20 years of experience in entrepreneurship, coaching, and mentoring, I have a passion and unique skill set for helping others reach their potential. I regularly coach, speak, and train on the topics of Entrepreneurship, Leadership, Team Development, Professional Success, Personal Growth, Personality Behaviors, and High Productivity. My career journey has provided some unique experiences in various fields as in automotive sales, event management, product development, entertainment marketing, business startups, real estate investments, and big-box retail. Just some of the companies I have worked with include Apple, Keller Williams, Home Depot, Lowe’s, Walmart, and Ford. All of which afforded me many opportunities to build and equip productive teams. Throughout my career experiences, I have witnessed first-hand the trials and triumphs that come with starting and running a company. From having to be skilled in many roles that come along with startups and small businesses, I fully understand the frustrations and complexities that entrepreneurs are challenged with on a daily basis. During my time, I’ve helped numerous entrepreneurs desiring to make their dreams a reality. Because of my own daily drive to help others fulfill their dreams, I’m able to teach other entrepreneurs and business leaders how to be a real success and live their life by design. 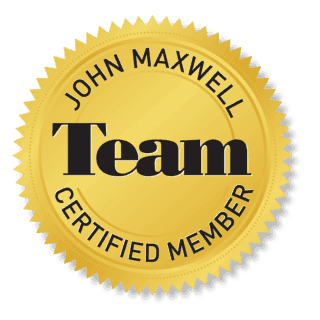 I’m excited to be an independent certified coach, teacher, and speaker with the John Maxwell Team. I’ve been trained and equipped by the leadership guru, John C. Maxwell and many other world renowned mentors that are experts in their fields of training. 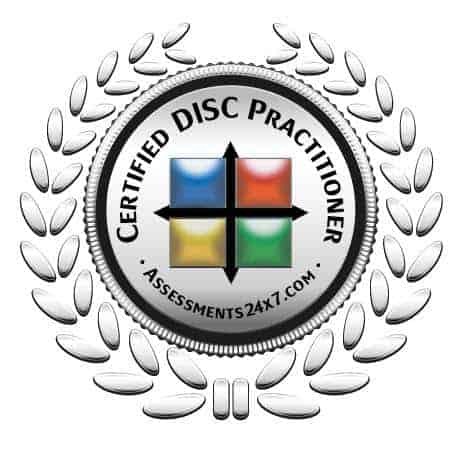 As an in demand Certified DISC Practitioner, I am equipped with industry leading assessments and tools allowing me to provide you with a higher degree of training than non-certified counterparts. Through the many hours of education and experience, I’m able to provide in depth DISC report debriefings, specialized program facilitation, and higher quality coaching. Located in historic Franklin, Tennessee (just outside of Nashville, TN), I started Grow Today, LLC as a means to direct others to success through the use of leadership development programs, small to large scale events, coaching and speaking. 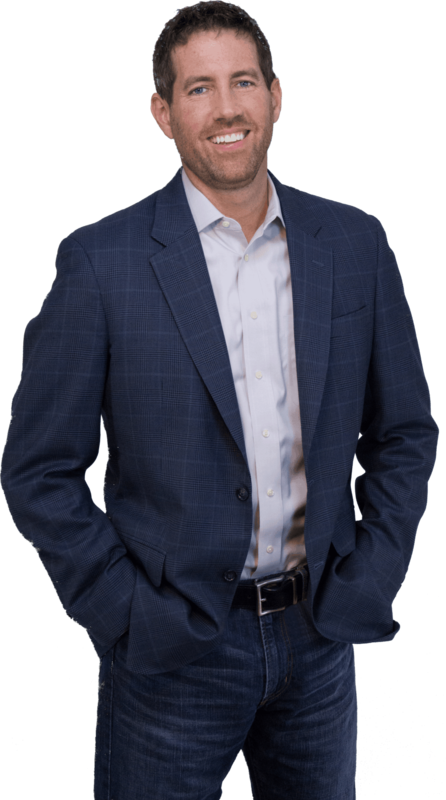 My services help businesses and individuals advance their leadership abilities, build dynamic and motivated teams, and learn to communicate effectively both internally and externally. With over two decades of sales and service experience, I know how crucial great leadership and solid teams are to a successful business. The vision and hope of Grow Today, LLC is to aid individuals and businesses in their daily pursuit of success by equipping them with the understanding necessary to lead greater and communicate better thereby opening the path toward realizing goals and an ultimate potential in life. It greatly depends on the service being requested. Coaching clients can start in as little as a week usually while a full company training program could take a month to prepare. What size groups do you provide training for? Each program is structured to fit your unique needs. Being so it doesn’t matter if it is just an individual or a large sized company. We can accommodate. I accept cash, checks, Visa, MasterCard, American Express, Discover, and PayPal. Do you offer services outside of the US? Yes I do! Please contact me and I’ll be glad to work with you on the arrangements and details. Grow Today, LLC delivers quality leadership development, professional key-note speaking, and certified business coaching to companies and individuals in all markets. Our purpose is to empower professionals and businesses to leverage their talent for greater growth and advancements. We train and equip individuals and teams at all levels through tailored programs and services that fit all unique needs and goals. High standards of character and integrity are the foundations upon which this company is built. I will always work and live with complete integrity. I pursue excellence within the community through opportunities for achievement in training, speaking, and coaching. I treat customers, extended partners and suppliers with mutual respect and sensitivity, recognizing the importance of diversity. I respect all individuals and value their contributions. Passion drives me and I’m committed in all things with heart and mind. Connect with me to learn more about how I can help you through Coaching, Speaking, or Training!